The gallant Eritrean young men and women are not slaves and should never be labeled as such-by anyone, least of all by those responsible for the decades long pain and suffering of the Eritrean people. 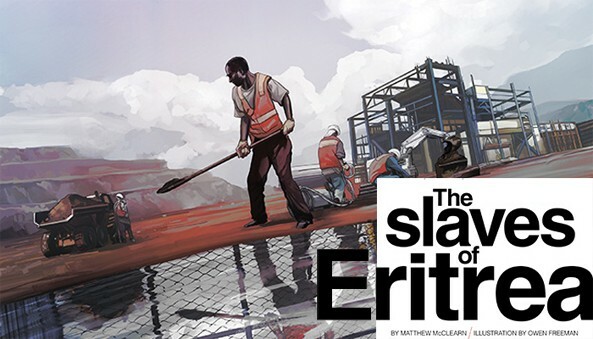 WHEN an acquaintance at the Ethiopian Foreign Ministry sent me an advance copy of the article, “The Slaves of Eritrea”, written by Matthew McClearn for the Canadian Business Magazine (understand he also sent a copy to the Canadian Embassy in Ethiopia), I did not find anything new… at least not something worth sharing. My acquaintance labeled the journalist as another “dedeb ferenji” – dumb foreigner – taken for a ride by the Woyane regime. I disagree with that label. I believe Matthew McClearn knew what he was writing and should be held to account by “every tax-paying Canadian citizen”. The article’s intentions are transparent and McClearn is certainly not doing this because he gives a hoot about Eritrea’s youth, rather, he seems to be doing the bidding on behalf of the minority regime in Ethiopia and others who are intent on vilifying the government of Eritrea and its people for ulterior political agendas.